SoundStage! 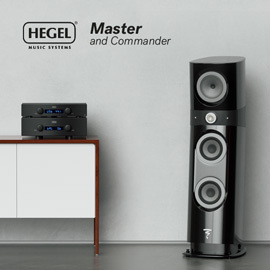 Hi-Fi | SoundStageHiFi.com - Is It Finally Time for Active Loudspeakers? Added to that $926.95 System: A $289 Turntable and $359.94 Worth of Speaker Footers? Is It Finally Time for Active Loudspeakers? At the 2017 Montréal Audio Fest, held March 24-26 at the Bonaventure Hotel in downtown Montréal, Canada, I thought the best-sounding room was Bryston Limited’s. 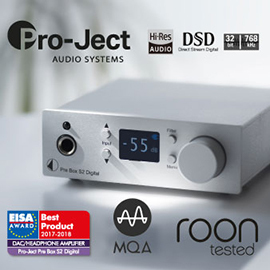 Based in Peterborough, Ontario, Bryston began in hi-fi in the early 1970s, first building power amplifiers, then preamplifiers, and, much later, digital source components, external crossovers, power conditioners, cables, speakers -- even a turntable. And no doubt there are Bryston components I never heard about. Most of Bryston’s products are comparable in design and technology to those of other high-end audio companies, but the two loudspeakers Bryston introduced in Montréal push past the industry’s norms: the Model T Active ($8495/pair USD) and the soon-to-be-released Middle T Active ($6295/pair). What makes them unusual is that they’re Bryston’s first active speakers -- a category of products that’s growing, yet is still rare at high-end audio shows. How does active differ from passive? In an active loudspeaker system, the crossover, which divides the audio signal into the appropriate frequency ranges for each drive unit, operates at line level, and before the signal is amplified. Then, amplifiers power the drive units directly. In a passive loudspeaker, the crossover comes after the power amplifier and before the drive units: the full-range signal from the amplifier is fed into the passive crossover components. This definition is pretty much what Dynaudio’s Roland Hoffman recently provided in a Dynaudio video, “Ask the Expert: Active Crossovers.” Dynaudio knows about active speakers -- their Xeo and Focus XD ranges are fully active, rich in features, and sound fabulous. They also let you enter the world of active speakers at reasonable prices: their cheapest model, the Xeo 2, costs only $1299/pair (down $300 from their price at launch). A video of our own, “Contrasts: Dynaudio’s Contour and Focus XD speaker lines,” highlights the differences in design between the active Focus XD models and Dynaudio’s passive Contour speakers. Like Bryston, Dynaudio is clearly committed to continuing to make both types of speaker. There’s a somewhat new wrinkle in active crossovers: digital signal processing (DSP). Until about a decade ago, almost all crossovers in active speakers were analog. Now, it’s increasingly common to hear digital crossovers slicing and dicing the frequency ranges. For example, Bryston’s BAX-1 outboard crossover operates digitally, as do all the crossovers in Dynaudio’s Xeo and Focus XD speakers. Usually, the active crossover and associated electronics are placed inside the speaker cabinet, as in Dynaudio’s speakers. In Bryston’s Model T Active speaker, however, the crossover and amplification are separate. As a result, the Model T Active is less a single loudspeaker in the usual sense, and more a speaker system: to make a pair of them sing in stereo requires Bryston’s new BAX-1 digital crossover ($3495) and three channels of amplification per three-way speaker, for a total of six channels. In the works at Bryston is the three-channel 21B3 power amp, specifically designed for that purpose (price not yet set). Because the 21B3 is not yet in production, Bryston used their 3B3 stereo and 7B3 mono power amps in Montréal. Because you need to buy its crossover and amplification separately, the Model T Active will end up costing a good bit more than the Model T Passive -- which also costs $8495/pair, but has a built-in crossover and needs nothing more than a set of speaker cables and a single stereo amp to play. Yet the Model T Active seemed to sound better -- in Montréal, Bryston has used the same space, set up the same way, for several years now, and in previous years, with the Model T Passives, it never sounded as good. Their all-Bryston system in 2017 reproduced incredibly deep, tight bass; beautifully clear, detailed mids; superbly extended highs; and a soundstage as awe-inspiring for its width as for its depth. Rarely, at any audio show, have I heard a system sound so good. Of course, some of the credit for the great sound must go to the up-front electronics and other components -- a system is a system, and is never about just one thing -- yet much of the credit does go to the speaker end of the chain, which was confirmed to me by Bryston’s VP of sales and marketing, James Tanner. He told me that, in his opinion, and in much the same ways I describe above, the Model T Active sounds considerably better than the Model T Passive. That Bryston was able to achieve such great sound with active-speaker technology didn’t surprise me. I’ve owned and reviewed active speakers for more than 15 years, and know how good they can sound. Experts cite several reasons for this: the direct coupling of the power from the amplifiers to the drivers, for better control; more efficient use of power from the amplifiers, for improved power delivery; and the ability to create more accurate response curves, for flatter overall response and better optimization of the signal for each driver’s capabilities. Digital crossovers add even more advantages. In the digital domain, response curves can be made more accurate and predictable; with analog parts, the tolerances are often ±5% or ±10%, which can cause unit-to-unit inconsistencies in performance. With digital, the designer can also more easily experiment with different filter slopes, crossover frequencies, and filter profiles -- changing the parameters of digital crossovers is often done via a computer screen rather than by swapping out physical parts, as in an analog crossover. Last but not least, the DSP used to create a digital crossover typically offers other options, including additional filters to help smooth the speaker’s response, and an adjustable limiter to protect the amplifiers and drivers from being overdriven. Wes was right on both counts. From what I recall, about two years after that review was published, Paradigm discontinued their entire line of Active speakers. Nor were theirs the only active speakers that flopped -- other reputable companies tried and failed, well before that and for some time after. But Paradigm sticks out -- they’re a big company, and everyone knew back then that if they couldn’t make it work, probably no one could. Why wouldn’t audiophiles accept active speakers 15 years ago? Will companies such as Bryston and Dynaudio suffer the same fate today? I’ve never met an audiophile who’s against having a better crossover, so that’s not the problem. However, I have met plenty of audiophiles who’d rather choose their own power amp(s) and speaker cables, rather than have the designers of their speakers choose for them, even if what they end up with isn’t optimal. For many audiophiles, figuring out and shopping for the best combinations of components is part of what makes hi-fi fun. Obviously, there’s an irony here -- audiophiles should be concerned only about the resultant sound, so if the fully active system sounds better to their ears, that should be that. But every company I know of that has failed to sell an active speaker model has told the same story: Audiophiles want to be able choose their own amps and cables, not have some designer do it for them. That’s been the hang-up with active so far. If those were the only audiophiles Bryston and Dynaudio had to sell to these days, I’m sure their active models would suffer the same fate as those active speakers from Paradigm, and numerous other active models before and after. Thankfully, in recent years, there have been a number of changes in audio that make me think that active speakers stand a better chance of succeeding in 2017 than they did in 2001, among audiophiles and non-audiophiles alike. First, audiophiles are getting more accustomed to seeing speakers with integral amplifiers. For example, powered subwoofers are now the norm; many audiophiles own a subwoofer with built-in amplification, crossover, and sometimes DSP-based equalization, and many also rely on the DSP crossovers built into their A/V receivers and processors. Second, speakers with powered bass sections, using an active crossover and internal amplifier to power the woofers, have also become common, even in some very pricey products. For example, four of GoldenEar Technology’s six models of tower speaker have fully active, DSP-controlled bass sections, and cost from $2500 to $8500/pair -- and GoldenEar has had remarkable success in recent years, so speakers that are at least partially active now seem acceptable to many audiophiles. Then there’s Gryphon Audio Designs’ most expensive speaker, the two-tower Kodo, at €250,000/pair (about $265,338 USD). One of those towers is dedicated to the bass drivers -- all actively powered. I think many audiophiles who shop across the price spectrum have come to accept that, sometimes, having a purpose-built amplifier to power at least part of a speaker can be a good thing, particularly if it lightens the main amp’s load and makes the entire system work better. These successes with actively powered bass, whether in subs or speakers, give me hope that fully active designs, with internal amps and crossovers for the entire audioband, will appeal to increasing numbers of audiophiles over the next few years. Another thing is that, in general, consumers’ needs are changing in ways that active technology suits better than passive technology. For example, consumers still want quality, but many also want more convenience and less clutter -- they don’t necessarily want all those separate components and cables. This is certainly true of most non-audiophiles, but it’s also true of some audiophiles. Bryston’s separates-like active speakers don’t really work well for these customers; if you go for one of them, it’s going to be purely for the sound. But all-in-one-box active speaker systems such as Dynaudio’s greatly simplify a system while still providing great sound. And now, in their Focus XD and Xeo speaker lines, Dynaudio offers wireless connectivity -- you still need power cords running to the speakers, but you no longer need to run interconnects or speaker cables from equipment rack to speakers. Nice. For nearly 20 years, I’ve watched and wondered when active speaker technology would take off. In 2001, there were enough reasons it should have, the big one being superior sound for the price. But it didn’t, even with a company with the scope and influence of Paradigm trying to make it happen. 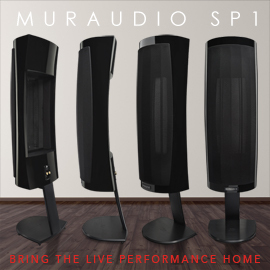 Since then, active speaker technology has further improved, mainly through the use of DSP for crossovers; plus, consumers’ wants and needs have changed, particularly with regard to desiring quality and convenience and less clutter. Will this finally be the time for active loudspeakers? I hope so. Better late than never -- particularly for something that can make our listening experiences that much better.